Volunteer at SPRUKE . 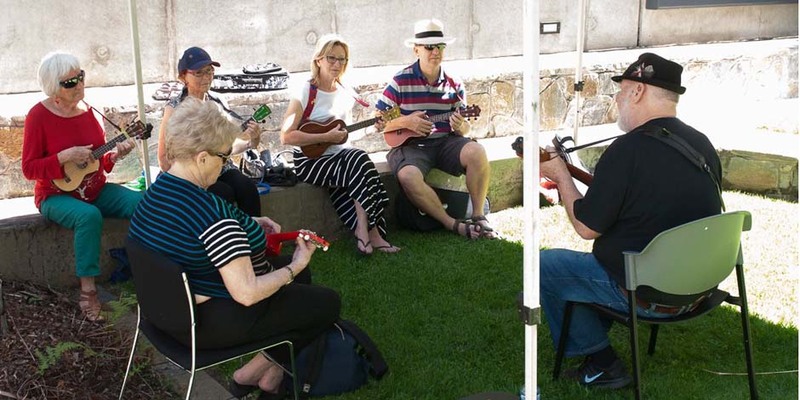 . .
George Mroz leads Novice Songs in the Beginners Ukulele Oasis at SPRUKE 2015. SPRUKE 2019 will be held over the weekend of Friday 13 – Sunday 15 September at SunPAC- Sunnybank Performing Arts Complex. SunPac and the adjacent Sunnybank Community and Sports Club offer many options for all the workshops and performance spaces that SPRUKE Festival has become known for. Keep in touch and sign up to our SPRUKE newsletter. Who will be the next Sprukestar?